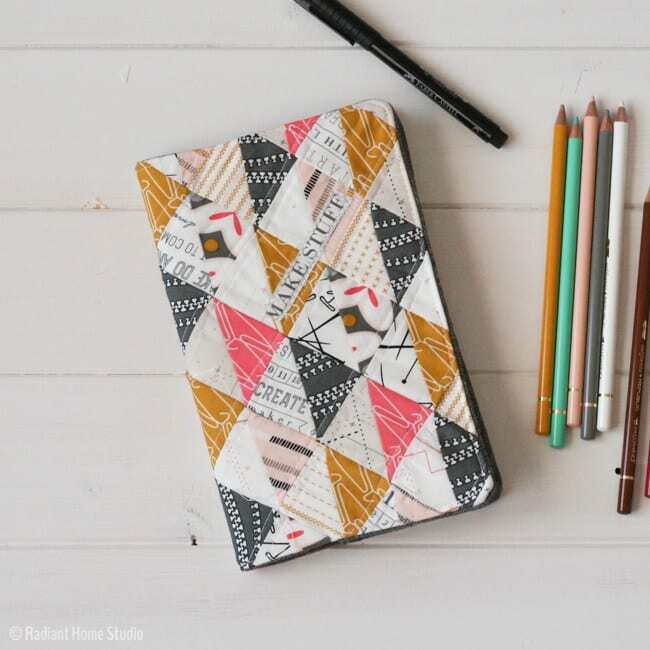 Here's a free quilted sketchbook cover sewing tutorial that you'll surely love! The finished quilted sketchbook cover is just the right size for a large moleskin notebook (about 5″ x 8 1/4″). And if you sew or quilt regularly, you can probably use the same technique, but adjust the size of the cover to fit any notebook or sketchbook that you have. Take a look at this Fabric Checkbook Cover, too! With very little modification this cover will fit my Kindle! Thanks!